Makeup can either make or break the look of a woman, especially when it comes to the look of a bride. Today, thanks to advances in technology, you can either go the traditional makeup route or you can hire a professional who specializes in airbrush makeup. If you’re wondering what’s the difference between the two and which one to pick, then read on to know more. The difference between traditional and airbrush makeup is in the way they are applied. When you’re applying a liquid-, cream-, mousse- or powder-based foundation, the conventional way is to use your fingers, a sponge, a special foundation brush or a duo fibre brush. 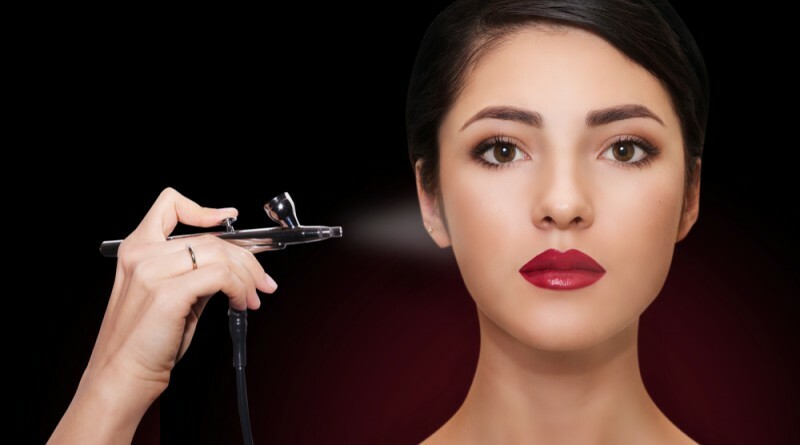 However, airbrush makeup uses handheld makeup compressor that releases compressed air to spray a fine mist of foundation. Traditional foundation creams or liquids, no matter how lightweight, will always be heavier compared to airbrush makeup. As they have to be applied by hand, conventional foundation products have a thicker consistency and could lead to a caking effect on your face. However, the foundation used in airbrush makeup is much thinner and lighter as it has to pass through the airbrush gun. 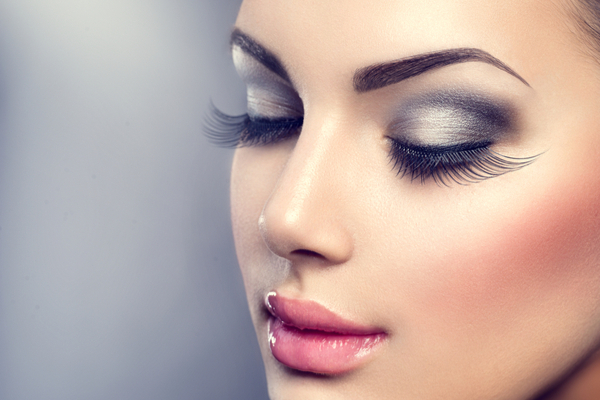 In fact, the makeup is so light that you may not even feel like you’re wearing any! It is difficult to achieve a natural, flawless look while applying traditional foundation since it is heavy and usually does not exactly match your skin tone. It is easy to spot women who are wearing traditional foundation, and if you’re a bride-to-be, your makeup is sure to show up in photographs. In this age of high-definition photos, every blemish is clearly visible on screen, making it important to master the art of makeup. 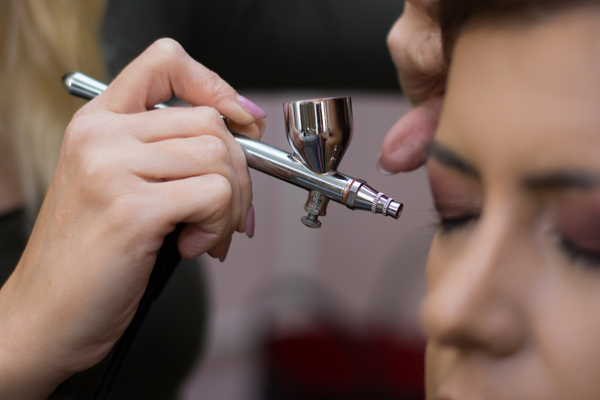 Unlike traditional makeup, airbrush makeup is applied in small quantities by the gun, and the mist is so fine that it gives you a natural look. When properly applied, it promises a flawless look and even skin tone that will hide your wrinkles and fine lines even in HD photos and videos. No wonder it is popular among brides, actors, and models. Traditional makeup tends to melt with sweat, rub off on your clothes as well as on other people as you greet them, thus ruining the effect. It requires touch-ups and reapplications throughout the day to stay on. You can rest easy with airbrush makeup, as the foundation used is completely waterproof and sweat-, smear-, and tears-resistant. 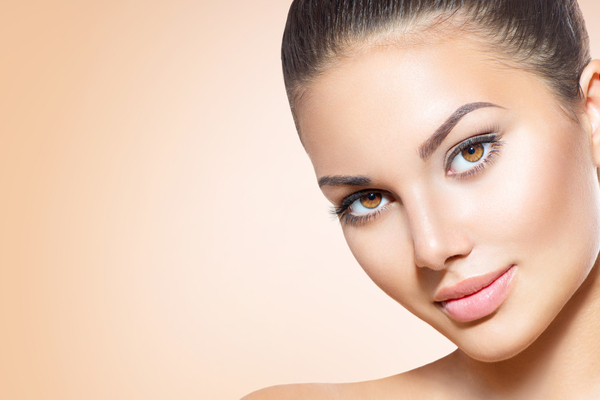 Depending on your skin type, airbrush makeup could last you for as long as 16 hours without any touch-ups. Many traditional makeup products are created with ingredients with the potential to cause an allergy. Unless you do a patch test, you will not know which product might cause you to break out into an itchy rash or acne. However, the foundation used in airbrush makeup is silicone-based and hypoallergenic, which means it can be safely used on all skin types. While airbrush makeup seems to trump traditional makeup in terms of application and the overall look, it is relatively quite expensive. Moreover, you can apply conventional makeup products right at home, but will have to visit an experienced salon for airbrush makeup. Keep in mind that both methods have their own advantages and disadvantages, and ultimately your choice depends on your personal preferences.